I recently finished reading Illuminated Journaling by Jann Gray. I found this book inspirational and wish I had read it much earlier in my Bible art journaling journey. One of Jann’s favorite phrases is “It’s more about your heart then the art” and that philosophy is very evident in this book. She starts Illuminated Journaling with “the elephant in the room.” Is it okay to draw in your Bible? While her answer (and mine) is yes, not everyone’s will be. 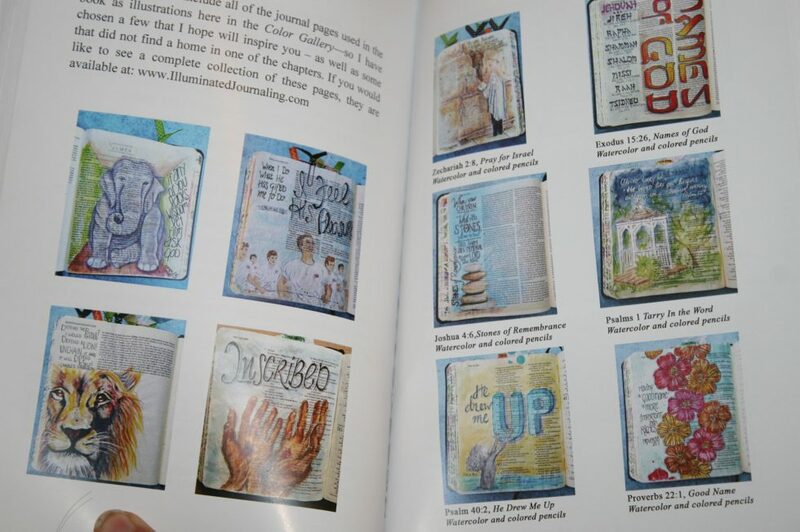 Bible art journaling is a very personal undertaking and no two people will approach it exactly the same way. 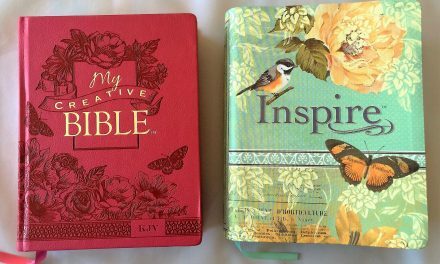 Where will you do your journaling, in a separate Bible (or book) or in the one you study from? Do you stay in the margin or let it run over onto the words? Are you going to stick to pencils and pens or add paint, or glitter, or glued in paper pieces? None of these is right or wrong all the time. This book doesn’t give you the answers. 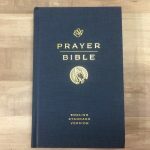 It gives you the questions to ask God and yourself to find your personal answers. The next few chapters deal with why artwork? Some of us are creative people and including God more in our artwork (or more of our artwork in our God time) seems natural once the suggestion is made. For those who don’t see it that way Jann explains how art can become a visual reminder of our time with God. It is a way to worship God with ALL our mind and strength. 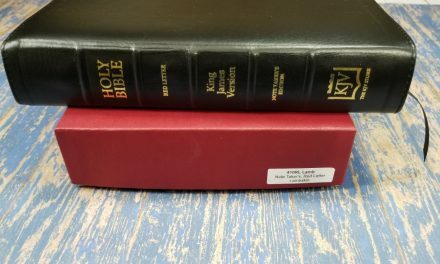 Finding the right image or the right words for our project also gives us a opportunity to “tarry” in God’s word and really think about what God is trying to say to us and how we want to respond. There are a couple of chapters that touch more on the how-tos of artwork. All of us are creative in some way or another. Some of us may not have used that creativity much, but it exists. She talks about 5 ways to boost your creativity if you find yourself blocked. There are suggestions for figuring out your first entry or two. Jann explains about some of the major styles of journaling and experimenting with them until you find what fits you. The last couple chapters deal with self-worth. She touchingly and convincingly explains how God is more worried about the time spent with Him than about how perfect the finished product is. A journal entry that helps you remember is more important than how (stamps, stencils, stickers, tracing) the image got on the page. She also cautions listening to God and our hearts about when and which entries we show others. Our efforts can help others more than we realize when we share. Our efforts can enlighten and encourage. Some things are best to wait to share however (and some might never be shown). Either because they are too private or because you are still too close to it and thoughtless words could wound you. The book ends with “Additonal Goodness”. It includes basic information about art products, sealing your pages, and finding more information on Facebook, Instagram, or Twitter. 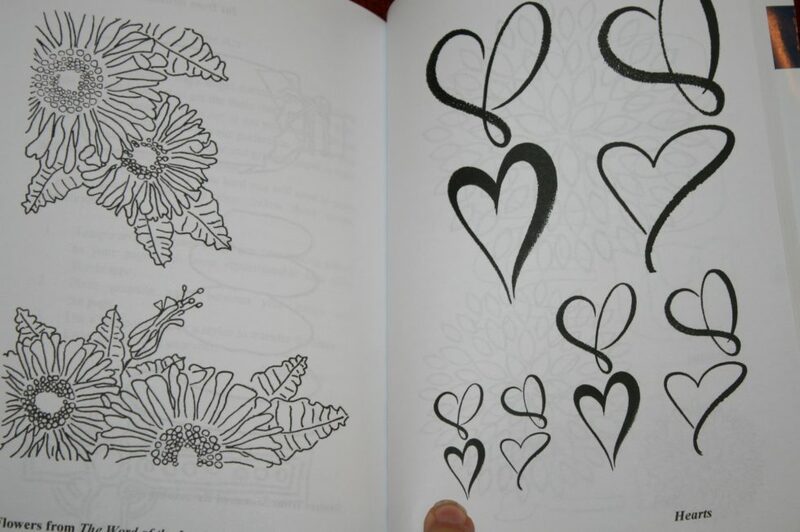 She also includes a color gallery of most her artwork mentioned in the book (and a few bonus pictures), line art for you to trace, and blank templates for you to practice in. 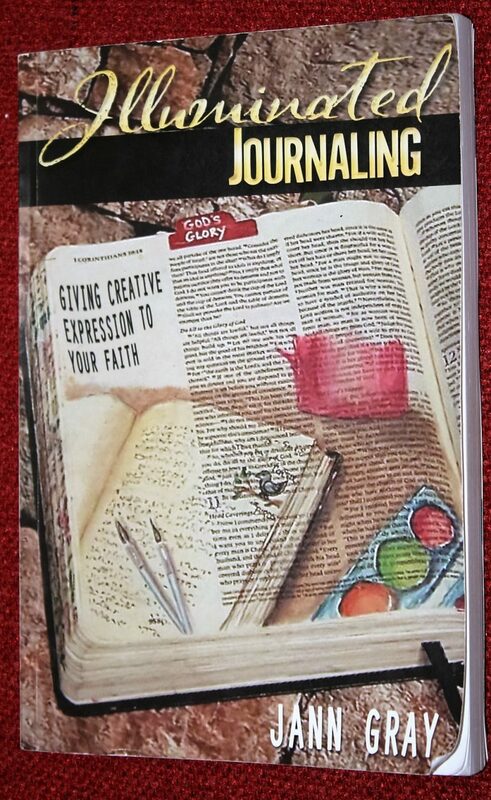 I recommend this book for anyone thinking about art journaling in their Bible or any one who has just started (especially if you don’t have a friend or mentor helping you). Jann has dealt with the major stumbling blocks a beginner may encounter. 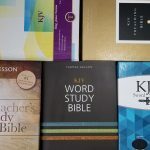 While beginners will benefit the most from reading it I think most more experienced journalers will find Illuminated Journaling a worthy read also. I know I found the chapter on tarrying particularly useful right now. 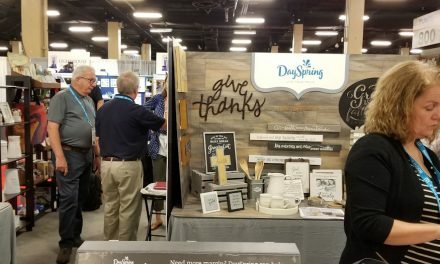 And I can point to an exact day when I wish I’d had the tips for boosting creativity and another day when the pep talk about God always having room for my artwork too would have been very encouraging. Have you read this book? What was your favorite part? Are there any other art journaling books you’d recommend? Let me know in the comments. 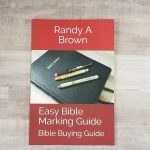 You can purchase a copy through Jann’s website, Amazon , or a growing number of local Bible bookstores.